Sportsnet’s Elliotte Friedman’s appeared yesterday on Edmonton’s 630 CHED where he discussed with Bob Stauffer a few possible trade destinations for Colorado Avalanche center Matt Duchene. Among them were the Montreal Canadiens, Anaheim Ducks and Ottawa Senators. When Friedman was asked about the potential of the Avs sending Duchene to the Montreal Canadiens for Alex Galchenyuk, Friedman’s response was geared more toward the Canadiens desire to move Galchekyuk than it was to obtain Duchene, but the optics of that kind of trade makes perfect sense. This is not the first time Friedman has connected these two names in a possible swap. He did so back in February as part of his 30 Thoughts column. At that time, it was more simple speculation. 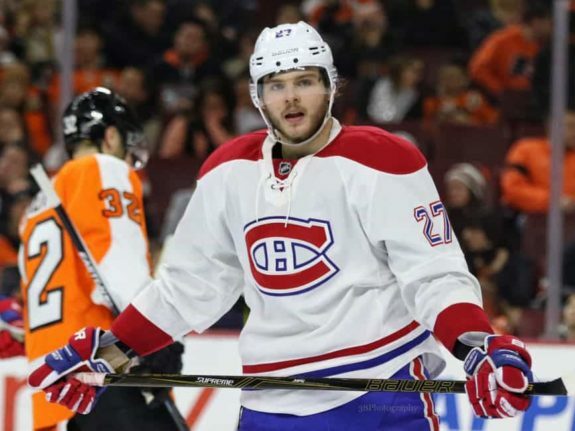 This time, while there is no guarantee that Galchenyuk gets moved, or that it would be for Duchene, there seems to be a bit more buzz than there has been in the past. Friedman also suggested the Ottawa Senators as a possible destination for Duchene, noting they visited the option of obtaining Duchene in the past and with their desperate need for scoring and their propensity to play defense-first type hockey, Duchene would fit in nicely. Duchene is widely regarded as a well-rounded center with great analytic numbers and the ability to play a 200-foot game. Furthermore, Duchene is a top-six forward and the Senators — who exceeded expectations in this year’s postseason — were definitely weak at forward and Friedman believes whenever a team like Ottawa gets that far, they can’t help but ask what the next piece might be to get them over the hump. Duchene has played wing and center and that flexibility is something the Sens could take advantage of. The question is, what does Ottawa move? Anaheim Ducks defenseman Sami Vatanen (45) during the NHL game between the Anaheim Ducks and the Carolina Hurricanes at the PNC Arena. 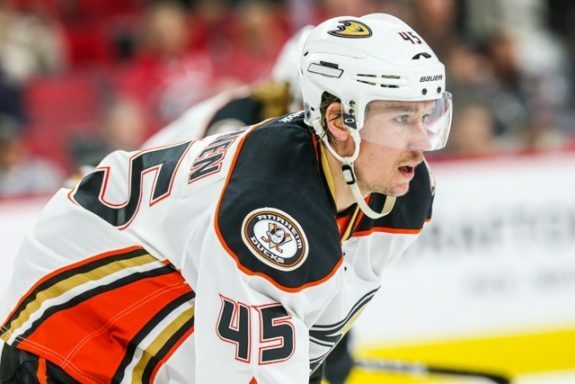 TSN’s Darren Dreger threw a curve ball into the conversation suggesting that the Ducks might feel the need to move Sami Vatanen with the 2017 NHL Expansion Draft on the horizon and Dreger believes that Duchene will be traded. Would a Vatanen for Duchene trade make sense for Anaheim? It’s not exactly what someone might have guessed at first glance, but Anaheim has been known to come out of left field in these types of situations and could be a player. Apparently, teams are lining up to acquire Vatanen so to think that Duchene as part of that deal is too big an ask on Anaheim’s part might be undervaluing Vatanen. At this point, Anaheim is considered the longshot, but not out of the realm of possible. Bob McKenzie says there’s absolutely no doubt that Matt Duchene is moved this summer, says his time in Colorado is up. Most think Duchene leaving Colorado is only a matter of time. Will it be for draft picks, players or in a one-for-one trade? It seems like the consensus is this trade will involve some key pieces from other teams and that could have a wide-reaching effect on the NHL, the summer and what other teams do moving forward. The good bet is that Duchene goes to a team with a crop of young defensemen. This could shake lose a possible Tyson Barrie trade and get Colorado farther along the path to some of the sweeping changes they seem to be ready to make.